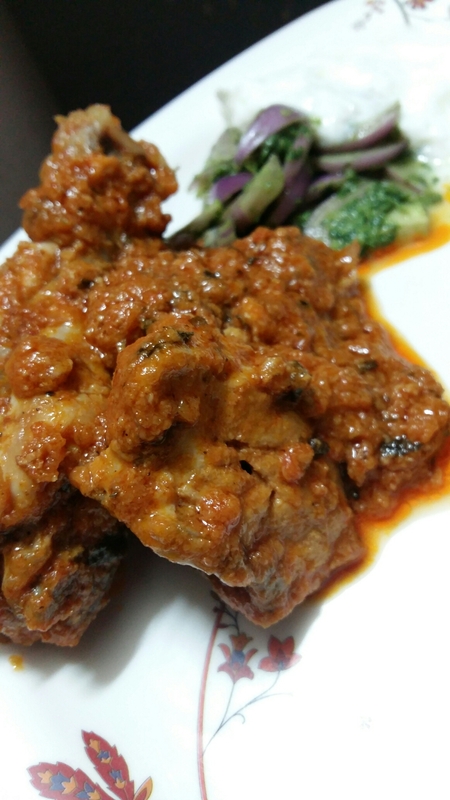 Butter Chicken is like the staple food of Punjabi’s. Over the years it has gained a lot of popularity among people. And why not…it’s unique taste and creamy texture is soooooo good, it’s hard to resist. I am not saying my butter chicken is healthy or anything but yes I can guarantee that it’s loaded with lots of love. 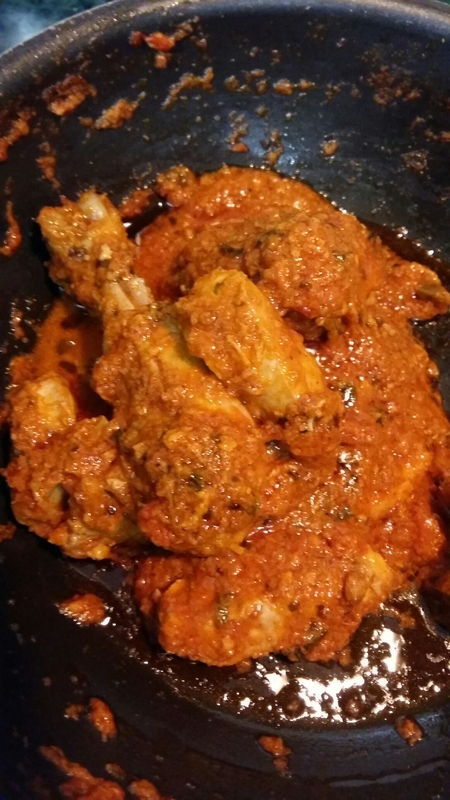 And once your family has this butter chicken they will be licking their fingers with praised coming your ways. These are served with laccha paratha, green chutney pickled onions and plain fresh yoghurt. You can choose accompaniment of your own choice. Mix yoghurt, salt, red chilli powder, coriander powder, garam masala, ginger garlic paste (1tsp) with chicken. Set aside for 6-8 hours. Blanch the tomatos in a large vessel. Once cooled blend into a smooth puree. Hear butter with 1tsp oil in a heavy bottom pan. Add cardamom cook for 30 sec. Add ginger garlic paste and cook but do not burn. Add the tomatoes, salt, red chilli powder and cook till oil seperates from the masala. Now add chicken and cook for about 5 mins. Add the cream, kasturi methi. Mix well. Adjust the consitency of gravy with water if required. Add sugar in the end. I have cooked it further for thicker consistency. 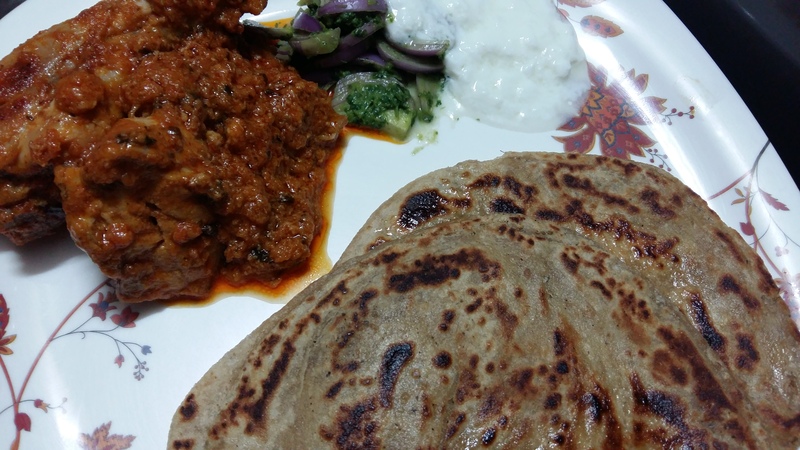 Enjoy with hot laccha paratha!! I saw a recipe like this on my Instagram feed recently. It looks really good!